After 15 years of having basically the same decor in my house for the holidays I have decided to update my Thanksgiving table a bit. I have never worked with Burlap before, well at least sewn with it so this was a fun project and I think I truly updated the look of the room. 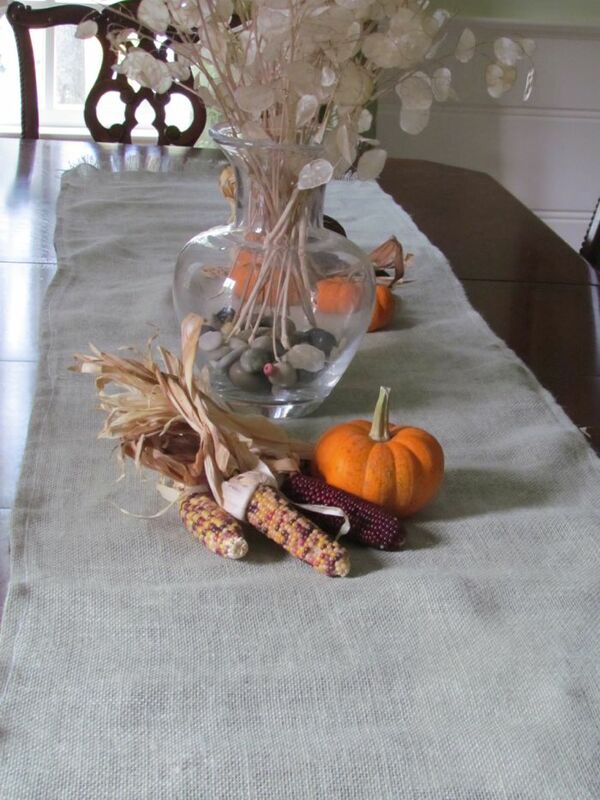 In just under an hour and for $5 you can make not only burlap table runners but also a cute Thanksgiving banner. Burlap is pretty inexpensive and I only wanted to buy 2 yards because you have to buy the width which is twice the amount you would need. Measure your table and be sure to get enough to go over the sides if you are going that route. With the kids I thought I would just keep the center table runner look. 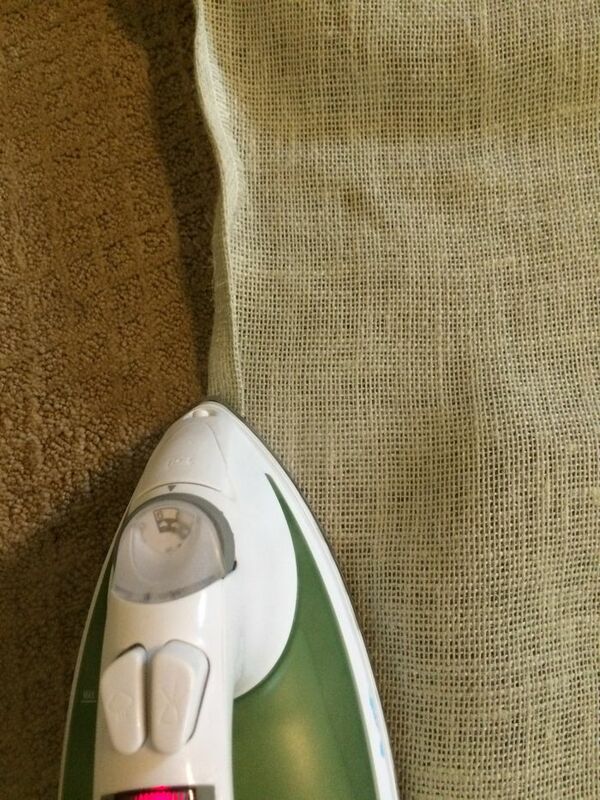 This could not be easier, cut the fabric in half. Then using an iron turn the edges over 1/2 inch. When you complete the entire length, then turn the hem over another 1/2 inch and iron again. I found I did not even need any pins to keep the hem in place. 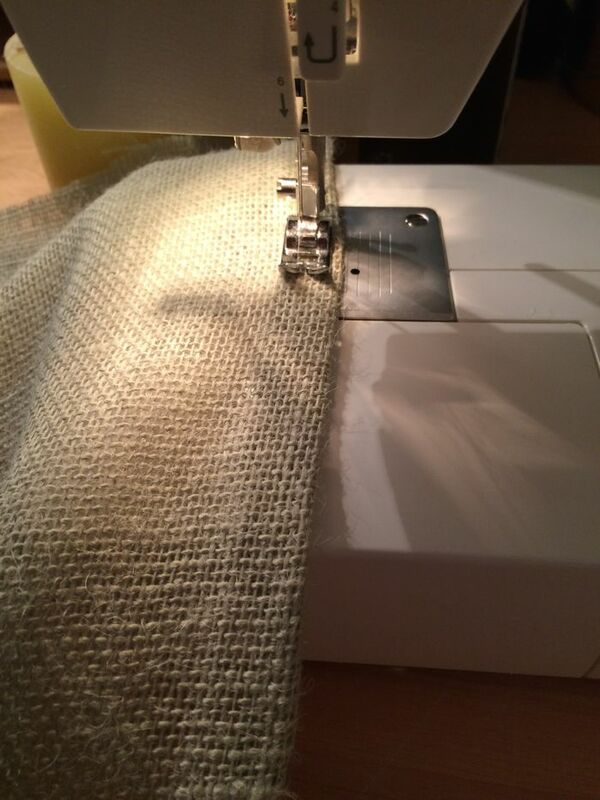 Immediately head to the sewing machine and using a zig zag stitch, sew the length of the hem. 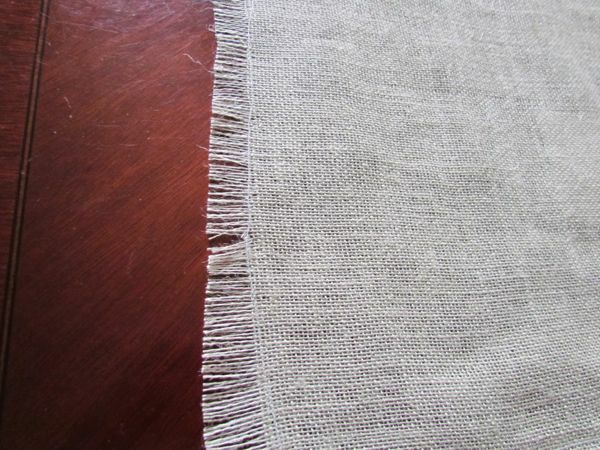 Next determine how long you would like the fringe on the ends of the table runners and sew across the width of the fabric. 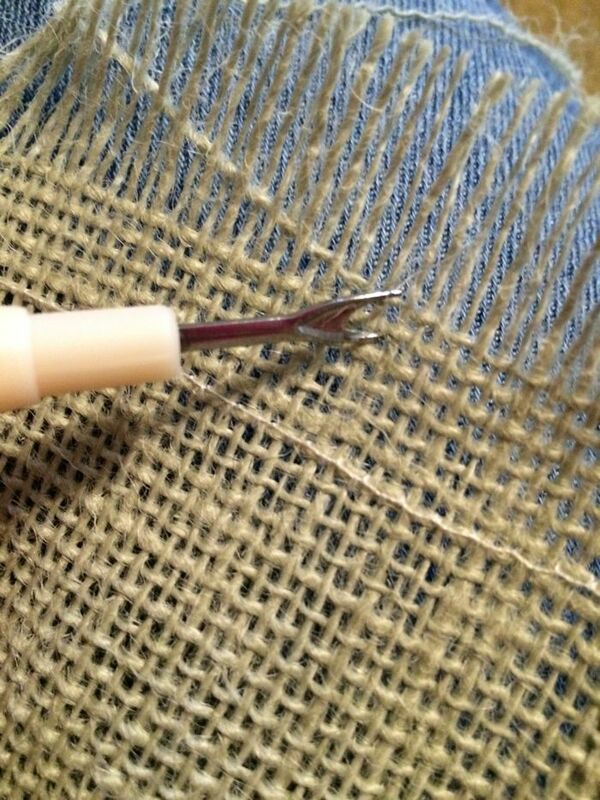 Using a sharp tool like a seam ripper tool pull out the long pieces of fabric carefully creating the hem. Told you this was super easy. 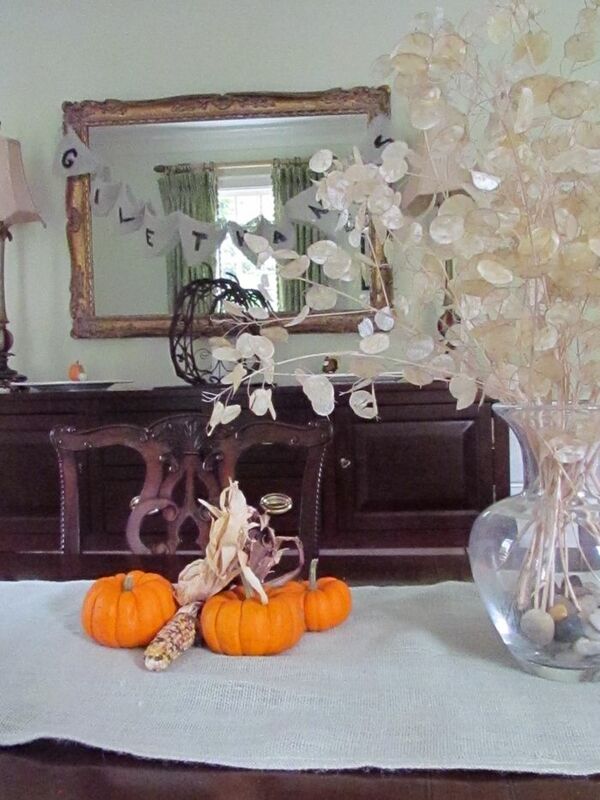 With the leftover fabric I thought I would make this no-sew banner to add to my Fall Decor. 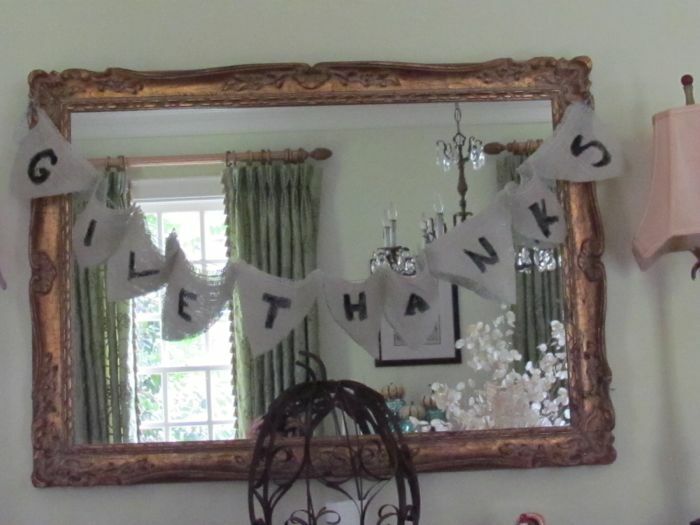 I simply cut out triangles and painted on the letters to spell out GIVE THANKS. 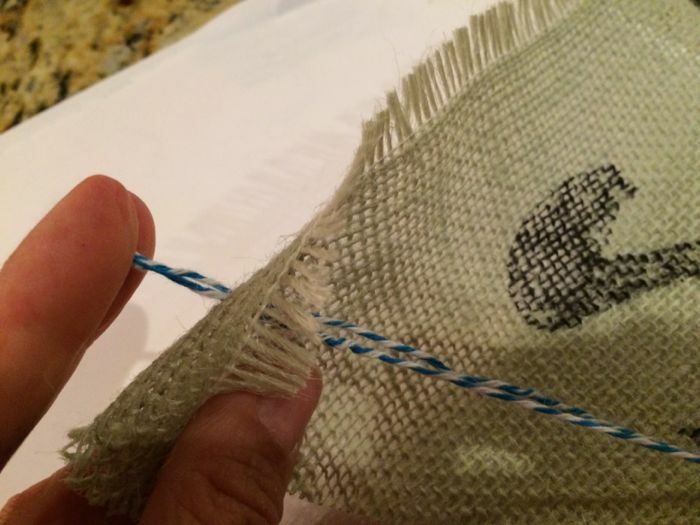 Using thick string or embroidery thread sew thread the triangles to allow them to hang . I attached it to a large frame but you can hang from a mantle as well. 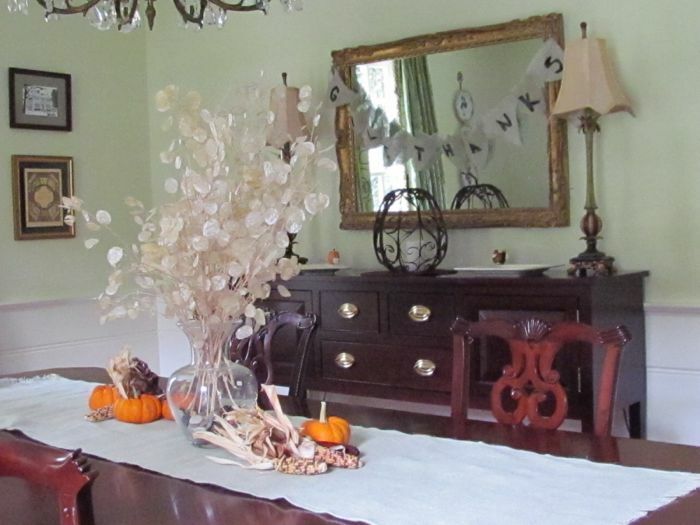 So with just a few dollars and a little time you can update your Fall Decor this season. 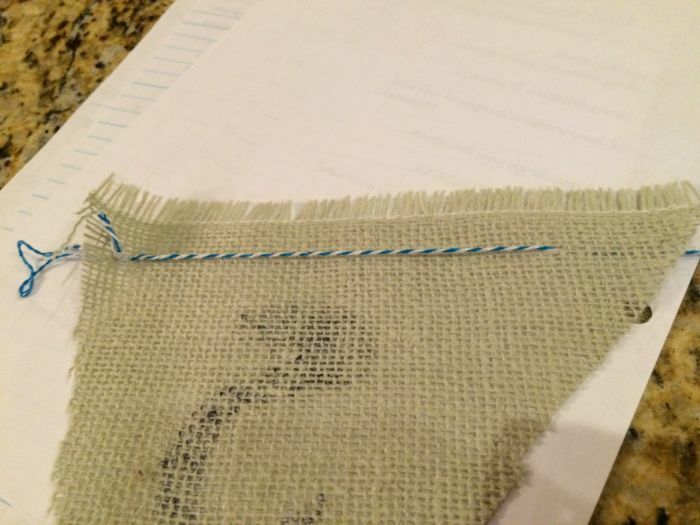 What is your favorite project with Burlap? I have never made anything with burlap. But I like the table runner and Banner! It looks so rustic and really makes the table and area look so festive. I know that I would love to make this soon! I love this idea. It turned out really nice. This is so beautiful. The entire setting would look great in our dining room. What a beautiful tablescape! I love using natural elements like that! I love the look of burlap but I’ve never worked with it before either. Your table runner came out great. I love the look of the runner, perfect for the Thanksgiving holiday! $5 is super reasonable! The burlap is a fantastic idea and looks beautiful! I love that you can come up with such creative decorations without spending a fortune. I’ve actually never made any burlap projects but I’m loving this one that you did. You did a great job! That looks so easy! I am horrible with decor, this looks like something i could do! I especially love the look of your burlap runner! This is a great way to decorate for a Thanksgiving table. I’m hosting about 25 people this year for dinner and will be trying this idea for our main table! Thank you! What a beautiful job! Our table isn’t big enough for a table runner so we only put llittle things on our to celebrate Thanksgiving and Christmas. our kids are still kind a little so they don’t understand the importance of not touching! That is so easy and I Love how it came out. What a great idea. Wow. That is a good idea. I have never made a table runner with that. I use burlap for small gift bags also.